Having breakfast in the morning, I am alarmed by the horn of a truck at the other side of the gate. I hurry outside to the street to see who is trying to call attention so early in the morning. It is a garbage truck! 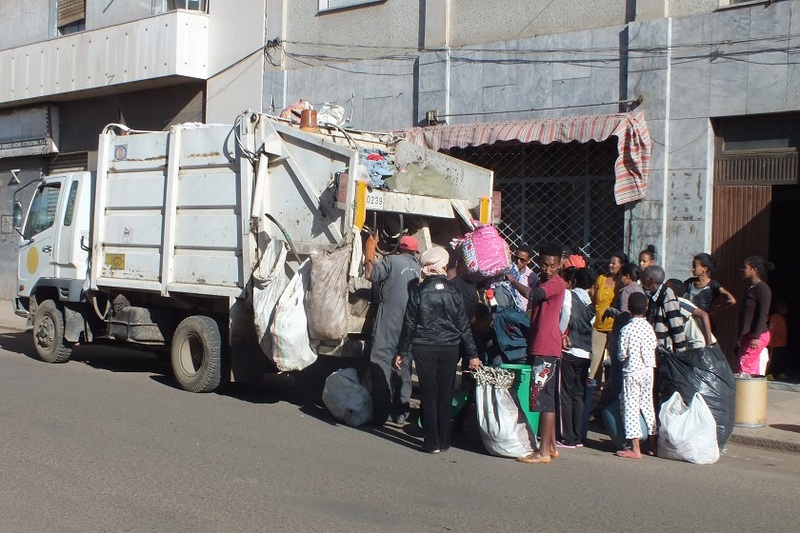 All people in Kohayto Street are supposed to come out of their houses and empty their waist bins in the back of the trash truck operated by the Municipality of Asmara. It will be added to Asmara's permanently burning rubbish dump near Biet Gheogis just outside Asmara on the edge of the eastern escarpment (road to Massawa). 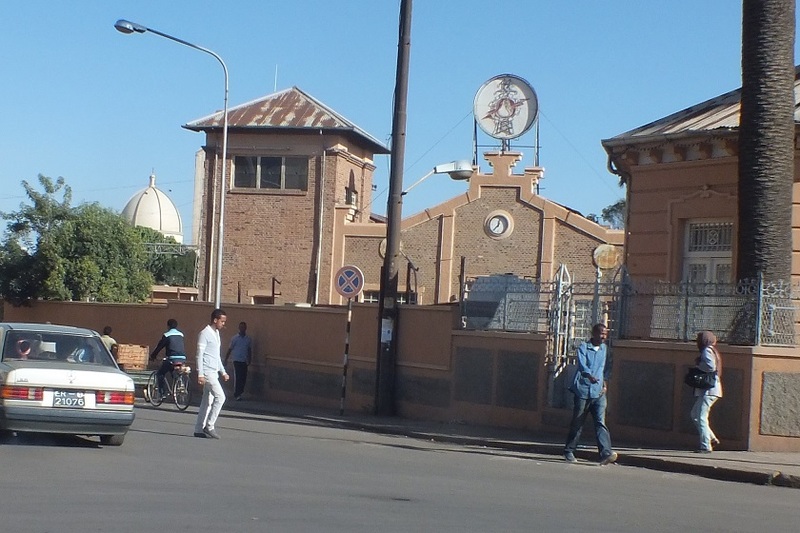 The streets of Asmara are almost spotlessly clean. Wipe teams of street sweepers come in action every early morning to clean the streets from litter and dirt, as to keep it the cleanest capital city in Africa, free of flies and pests. The municipality of Asmara is thereby providing a healthy and clean environment for its population, preventing and eliminating diseases. And an atractive place to stroll for the tourists of course. I finish my breakfast. Gabriela made me kitcha fit fit, which is a traditional Eritrean breakfast. Kitcha fit fit is a mix of a very crispy thin bread broken into small pieces, butter and berbere spices. It is one om my favorits from the Eritrean cuisine. It is served with sweet tea to start the day with an energy boost to be well prepared for my daily walk of at least 20 kilometers. With some breaks at the bars and shops of course, and a lunch break. I share today's plan with Luwam and Gabriela. They understand the Tigrinya anouncements on ERI-TV and in Hadas Ertra, Eritrea's newspaper, also in Tigrinya, while I can only watch the pictures. My Eritrean wife (who stayed behind in The Netherlands) did not forget to add a shopping list for my Eritrea 2014 project. I ask Luwam to find the food items (like teff) as I cannot judge the quality and prices of these kind of products. But for other products I took the empty package as an example and the directions as suggested by my wife. Therefore the early morning walk is to Afabet Street just south of Abbashaul. 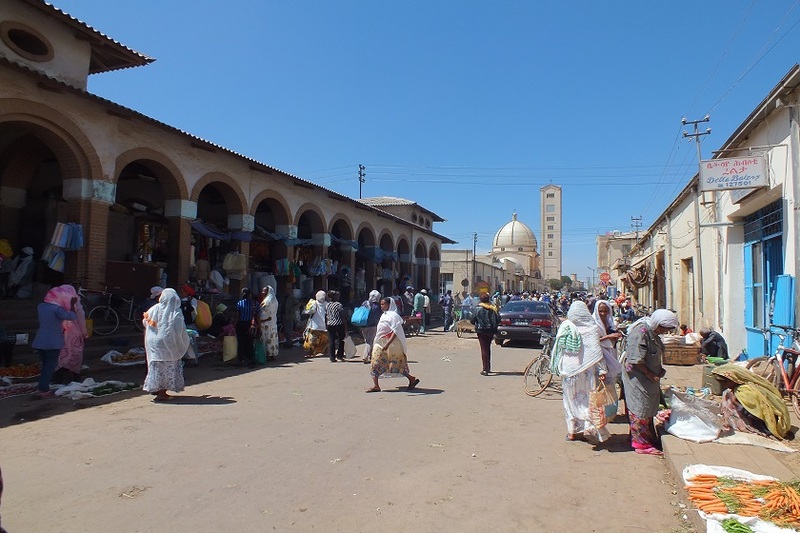 Abbashaul is the shanty district of Asmara, so I will meet nice prices for the listed beauty products. It is a direct hit at the first beauty shop I enter in Afabet Street. The product is recognized, available, I am not overcharged, and even negociate a small discount for buying 40 pieces at once. 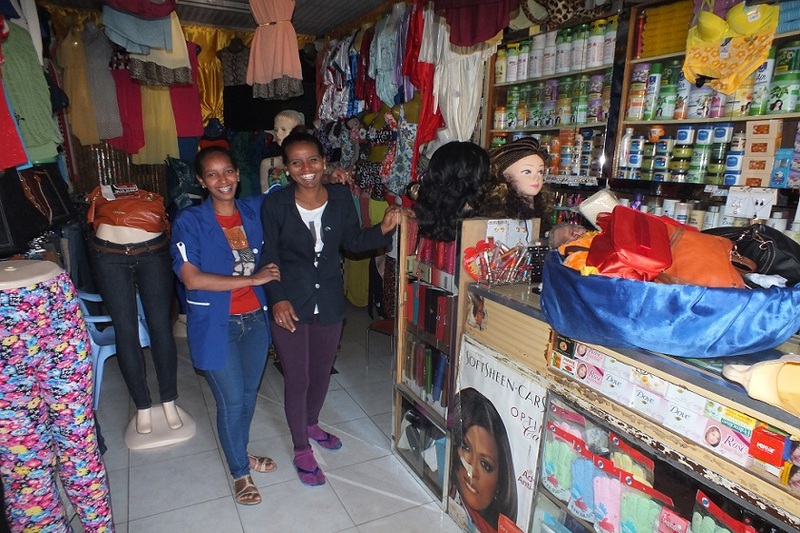 The two female workers express their joy that I found their shop as a customer. The fragile glass containers are carefully packed in a few pages of Haddas Ertra, the Tigrinya version of the Eritrean newspaper. I ask the ladies if I can take their pictures as well as a souvenir of beautiful Eritrea. After the usual hestitation it is okay. In Afabet Street I watch the traffic passing by. Modern Chinese King Long buses and Chinese Cargo trucks heading for Massawa intermingle with oldtimer Volkswagens and Fiat cars, horse carts and bicycles. The Eritrean government recently imported hundreds of new King Long buses from China, and Higer Karwa buses from Qatar to modernize Harat intercity transport and the Asmara region Public Transport Zoba Maakel. I shared most of the pictures with John Veerkamp, who is publishing the Africa pages on www.bus-planet.com. After lunch I visit the Souk area where one will find nice price souvenirs that will make me happy when back in my hometown Rotterdam. 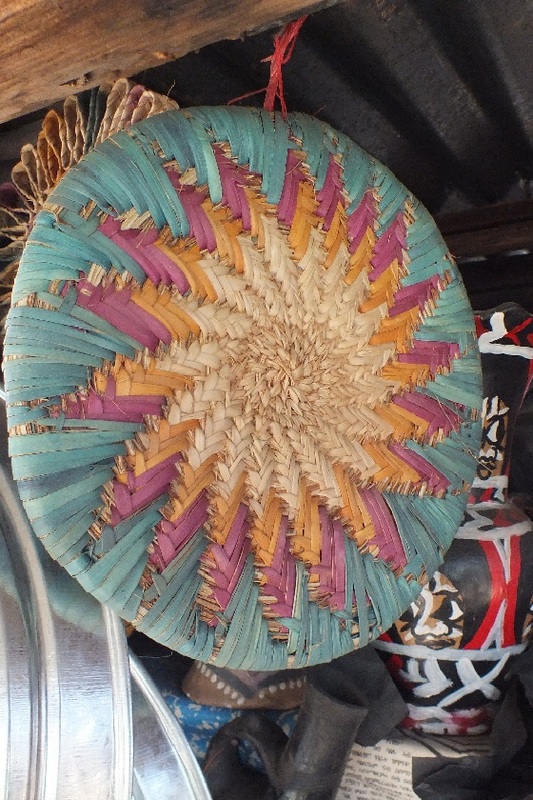 Cultural handicraft, accessoires, and gift stores provide products from various regions of Eritrea. After 20 earlier visits to Eritrea our house is loaded with souvenirs, but as always I want to bring back some materialized memories as well. 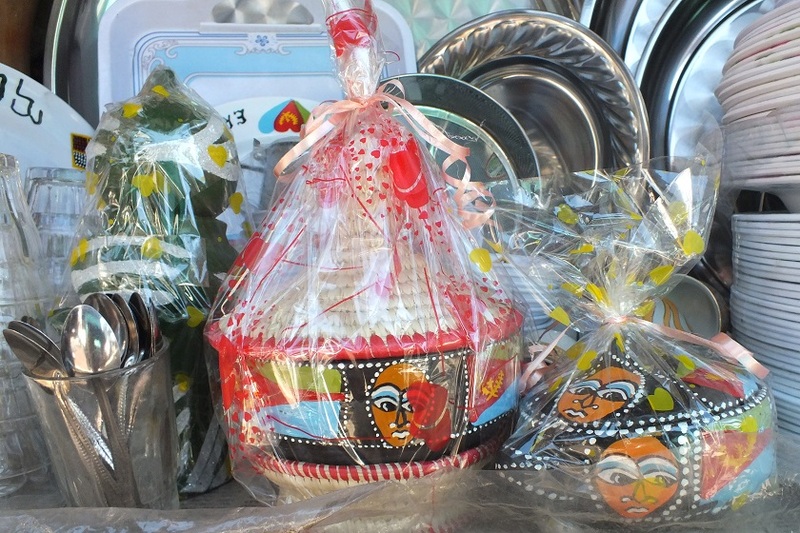 And some extra colorfull baskets that are both a nice gift itself, and a nice container to store my USB sticks at home, or to pack a present for whatever occasion. From the market I walk to Godaif to deliver a letter to family of one of my wife's girlfriends. I guess it will contain some financial donations and pictures as well. 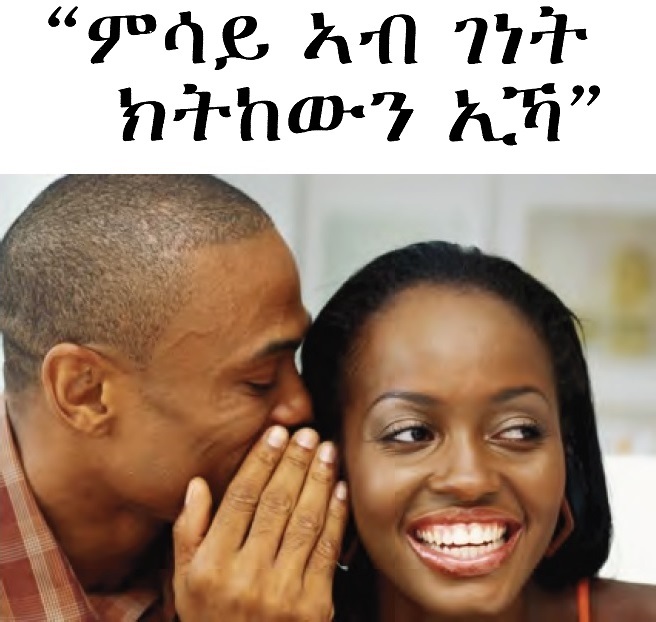 I regard it as the ultimate challenge to find any random address in Asmara. I have a telephone number as a backup. Just in case the oral description of the route will not be enough. With some help of the locals I find the house and the family. I have to drink tea and eat. And I have to come back whenever I am around again in Godaif. Garbage collection - Central Zone Asmara Eritrea. Eritrean Electricity Authority - Central Zone Asmara Eritrea. 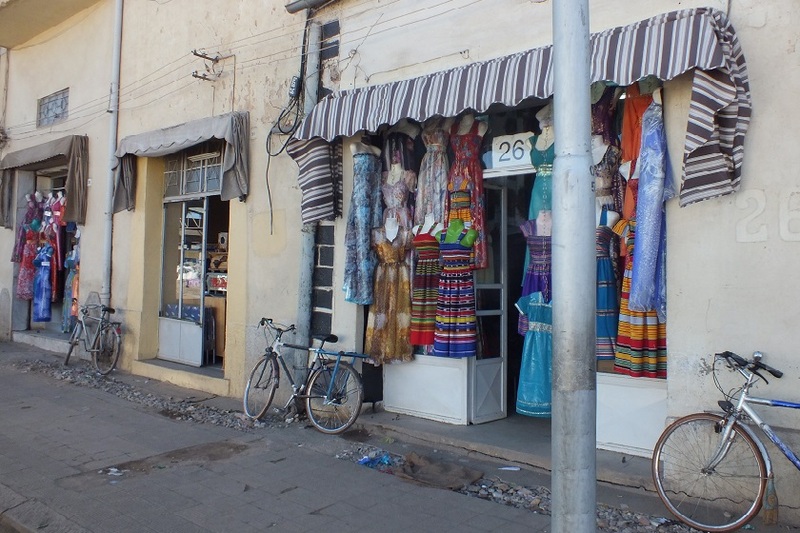 Tailor Shops - Hamasien Street Asmara Eritrea. Beauty shop - Afabet Street Asmara Eritrea. 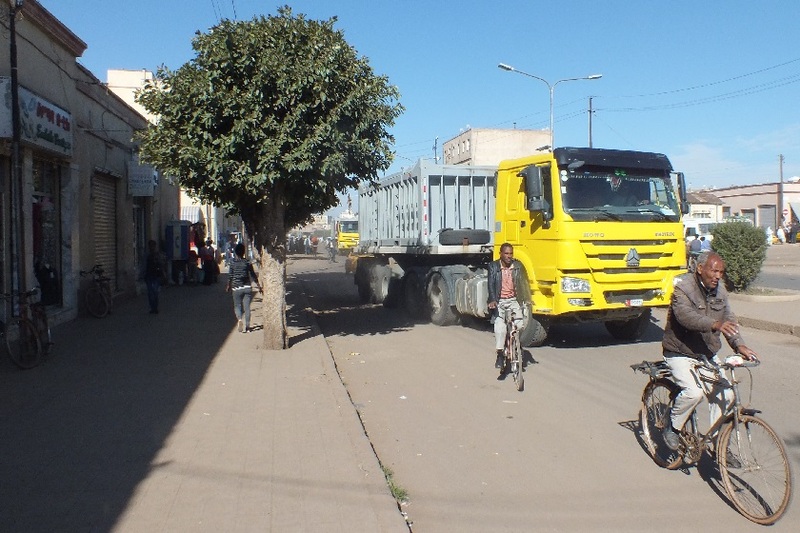 Chinese Cargo Van - Afabet Street Asmara Eritrea. 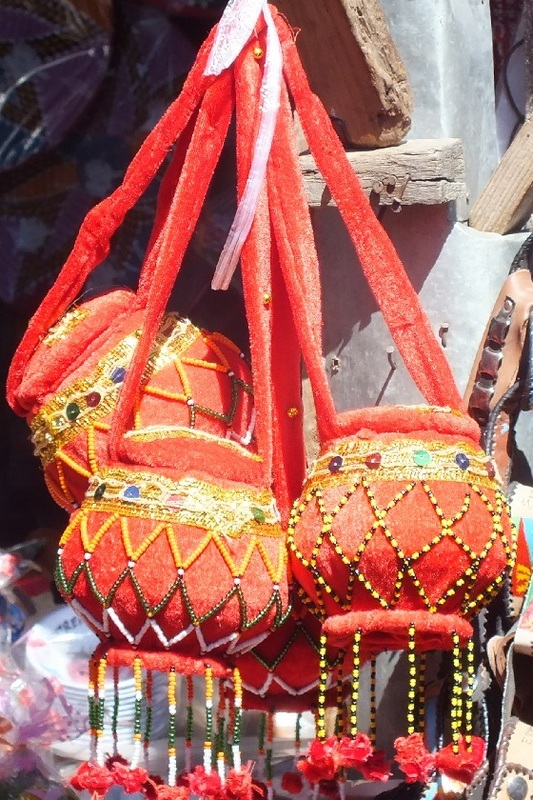 Souvenirs (Keren) - Souk Asmara Eritrea. 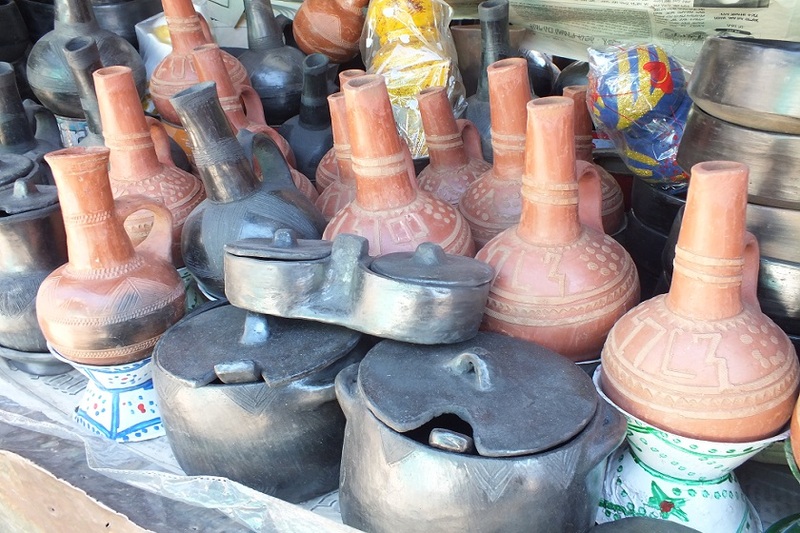 Souvenirs - Souk Asmara Eritrea. 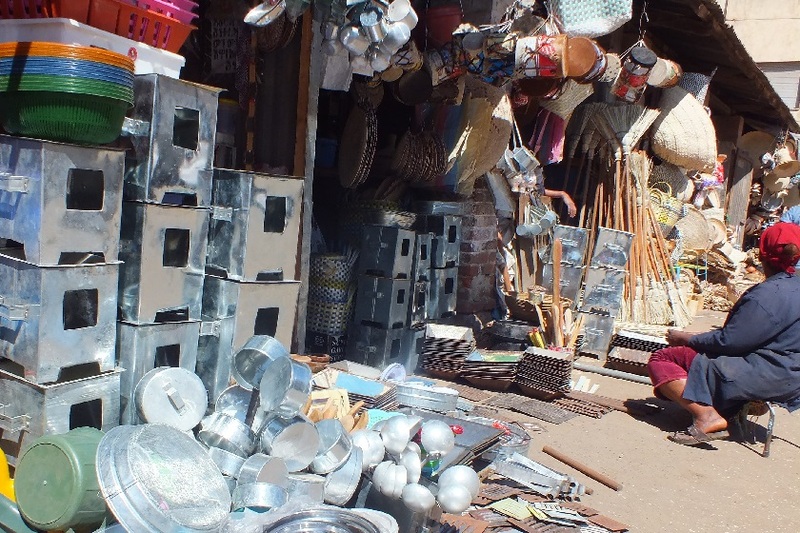 Household utensils and souvenirs - Souk Asmara Eritrea. 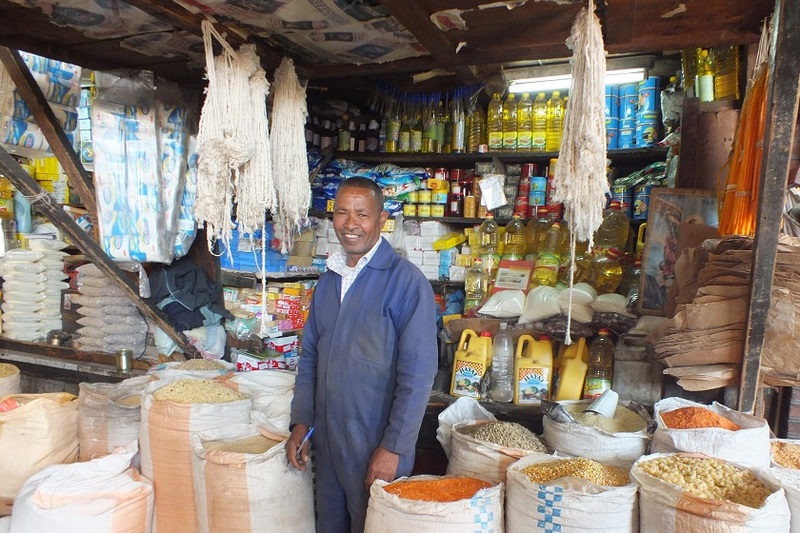 Mini supermarket - Souk Asmara Eritrea. Salena! (Picture me!) - Souk Asmara Eritrea. 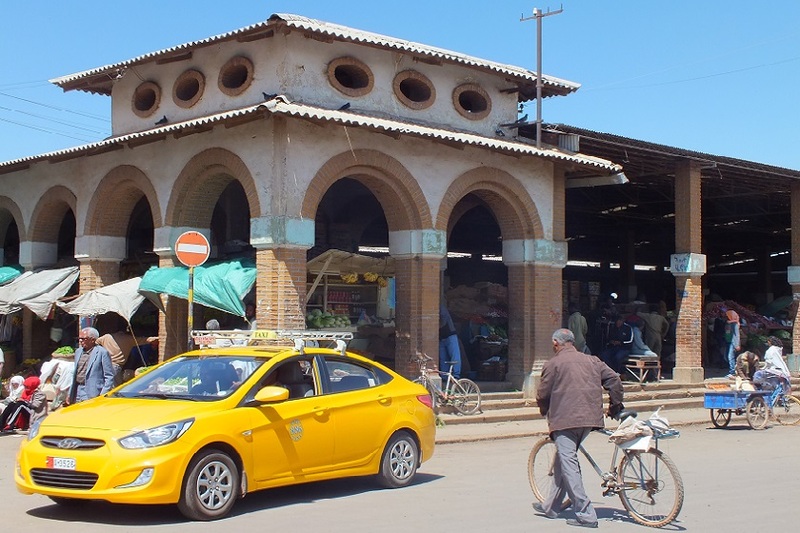 Hamasien Street - Souk Asmara Eritrea. 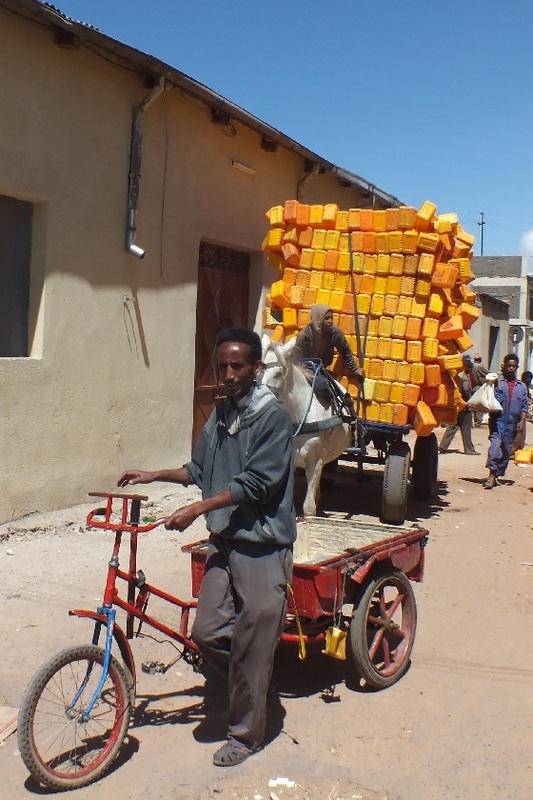 Overloaded horse cart - Souk Asmara Eritrea. 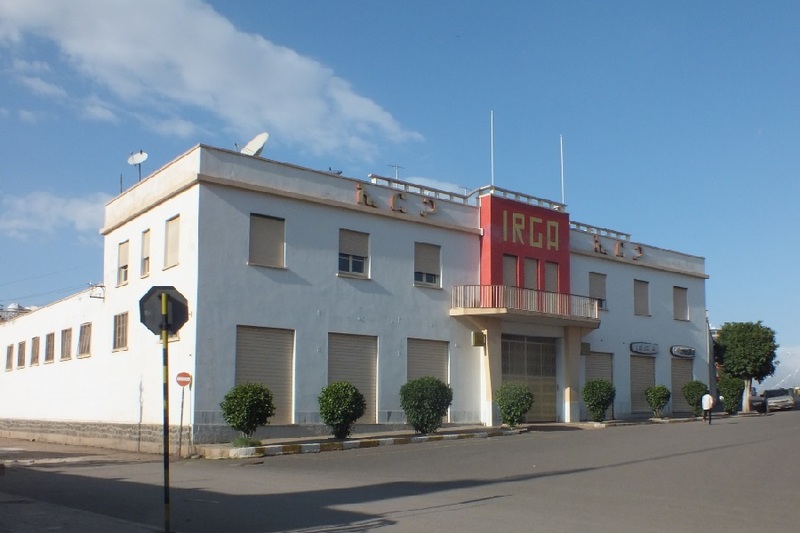 IRGA building - Sematat Avenue Asmara Eritrea. 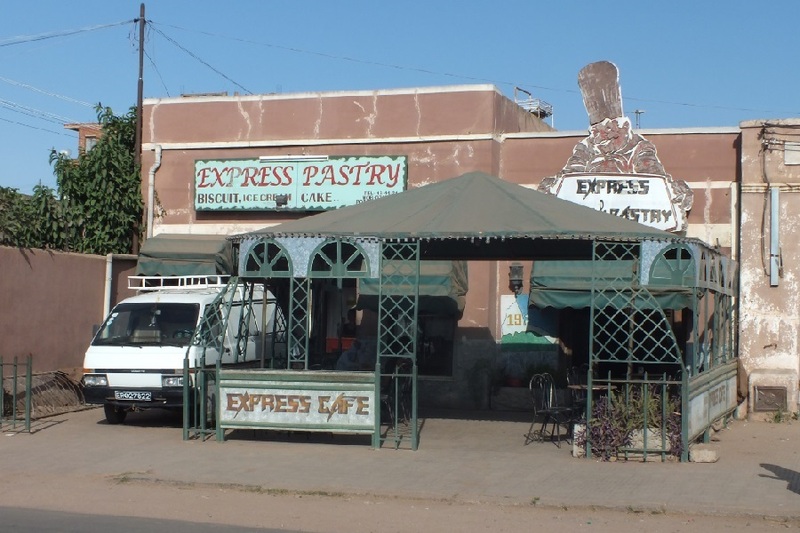 Express Pastry and Cafe - Tegadelti Street Asmara Eritrea. 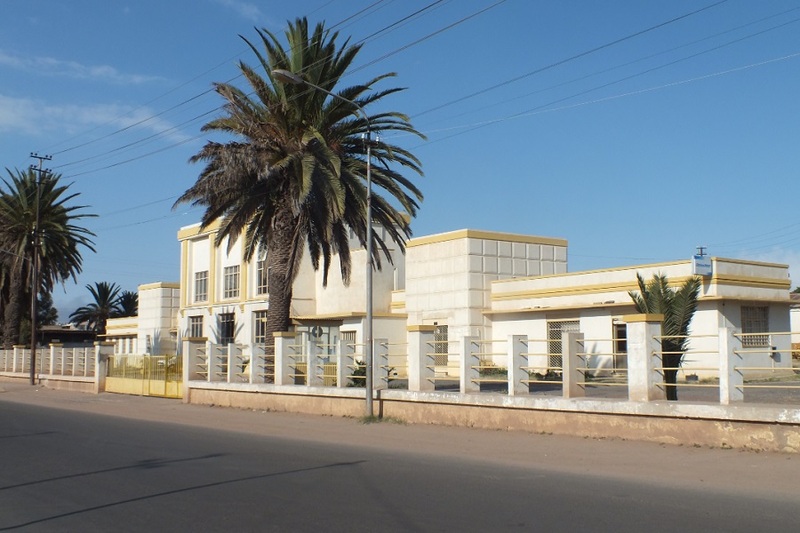 Eriequip workshop and offices - Tegadelti Street Asmara Eritrea. 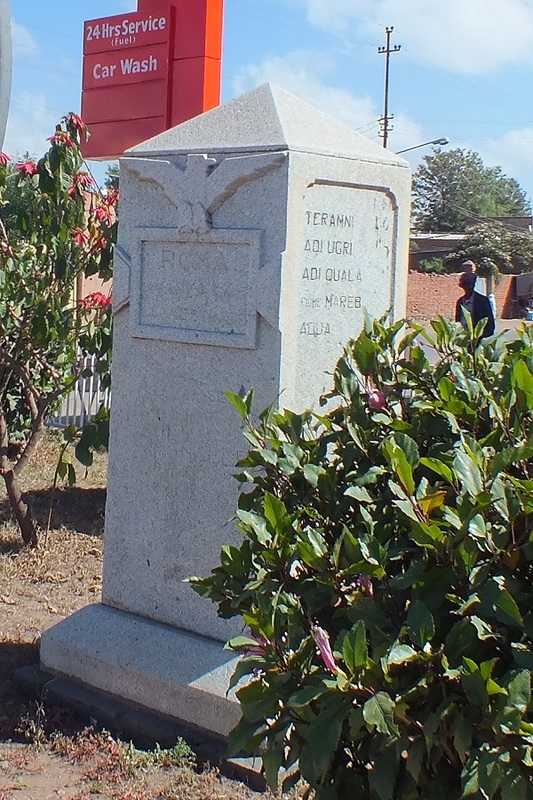 Italian era Signpost - Bloko Godaif Asmara Eritrea. 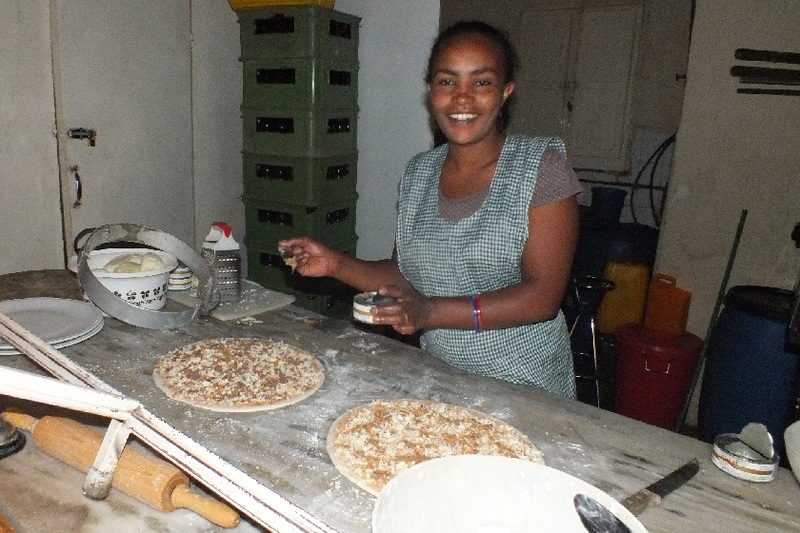 Aster preparing my pizza number 10 - Pizzeria Eritrea Asmara.